Although female booklovers can’t wait to see if the hero will be a handsome cowboy with a soft spot for orphans, a rakish marquis who needs an heir, or a sophisticated jewel thief who donates his loot to charity, it’s the heroines who stick with readers. Here are 5 characteristics for heroines readers will remember long after they pass the book to their mothers-in-law. 1) Heroines must be flawed. No one liked the girl in high school with perfect hair/clothes/teeth/car/parents…fill in the blank. Unless she happened to be us, that girl was annoying. Authors must make sure heroines have plenty of nice attributes, but there should also be things for her to work on. My heroine in What Happened on Beale Street hates people in her “personal space.” Beth Kirby often balks—or runs in the opposite direction—if people get too close. 2) Heroines recognize their flaws and strive to overcome them. Just like we don’t like perfection, we also don’t like women who keep making the same mistakes over and over. Consider the famous anti-heroine Scarlett O’Hara in Gone with the Wind. Although Margaret Mitchel gave us plenty of reasons to hate her, no one can deny that Scarlett made serious strides in self-improvement by the end of the book. 3) Heroines have integrity. Let’s face it. No one likes a woman who takes candy from a baby, rips off a humanitarian aid society, or advances her cause at the expense of others. If the heroine must kill somebody, he had better be a bad-guy. I remember a fictional cat burglar who refilled a dog’s water bowl while stealing a famous painting. At the end of the book, the burglar returned the painting to the rightful pre-World War II owner. Now that’s integrity! 4) Heroines never give up. Whether she’s stranded on Spider Island, trapped on a sinking ocean liner, or framed for a crime she didn’t commit, heroines don’t sit in corners, feeling sorry for themselves. No one will forget the character played by Kate Winslet in The Titanic. How could anyone hang onto a railing that long? 5) Heroines recognize the important things in life. No matter how career-driven a woman is, she must come to terms with what really matters like faith, family, and of course, love. We’re here on earth only for a short time, so a heroine must learn to see the big picture. Who can forget Dorothy in The Wizard of Oz? She suffered ordeal after ordeal before realizing everything she wanted was back home in Kansas. 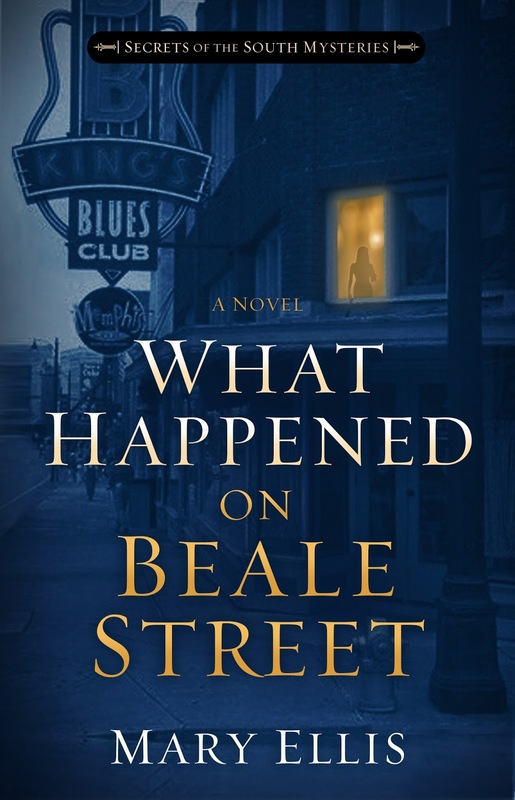 Please leave a comment for a chance to win a signed copy of What Happened on Beale Street. You must leave an email address to win! Love mysteries and one set on Beale St. sounds great! Mary, I wish I could disagree with you about heroes vs. heroines, but early in my writing career I heard it said that the majority of Christian fiction readers are women, and they like female leads. Although I wondered about the accuracy of that statement, I decided to try it--and it worked. Only after four other successful novels did I write one with a male protagonist. So kudos for your good advice. And welcome to Suspense Sisters Blog. Great list of heroines and I agree! As a female myself, strong heroines does make for great stories, but sometimes, I would like to have a strong hero protagonist vs the heroine. Don't get me wrong, I like both! But there are stories where the heroine just doesn't do anything for me. I might need to figure out which part of that list she doesn't fall under. Thanks for the giveaway! Can't wait to read the next installment of the Nate and Nicki Price mysteries. Loved your description of heroines! I'm really excited about this book! I can't wait for it to come out! It sounds sooooooooooo good! A great writer knows how to incorporate all these characteristics in thier stories for either/or hero and heroine! Thanks for sharing your list & for the giveaway. What Happened on Beale Street sounds good! How do I leave a message on here with my name and not a number? We all enjoy reading about strong women but with a soft side as well. Mary, your list of heroine qualities is SPOT ON! I am looking forward to reading What Happened on Beale Street. Mysteries are my favorite genre. 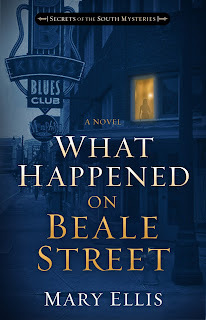 Enjoy reading Southern mysteries and "What Happened on Beale Street " looks like an amazing read. Interesting post on heroine qualities. Heroines must be all this and more. Even if I don't like them, I must respect them on some level. Enjoyed reading the characteristics of heroines and AS I think back on books I've read, I realized that is really right on. This sounds like an amazing series and I do enjoy mysteries and suspense. I LOVE a good mystery and especially one with a strong heroine! Appreciate the list of characteristics. I would love to win one of your books Mary! I enjoy a good mystery and also read romantic suspense. Definitely! A heroine with flaws is key. If I'm not too late, please enter me in the drawing. I love your heroine characteristic list Mary. My favorite one is that heroines never give up! I am sure you enjoyed writing this genre too.